Just a kilometre and a half so from the boat ramp is Lighthouse Reef. The reef here comes up from about 18 metres to 12 metres or so. 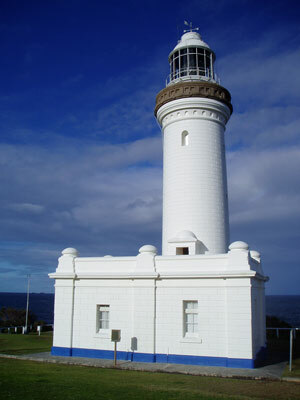 You do not really need a GPS, just head to just off the Norah Head Lighthouse and head east till the reef drops from 12 metres to about 19 metres. Anchor on the reef. The site consists of a wall running from roughly north to south. The reef is about 12 metres on the top and about 19 metres on the bottom. Off the wall there are a few small and medium sized boulders with sand around. From where you have anchored, swim till you hit the wall and then head north. There is a decent wall with a lot of large boulders. 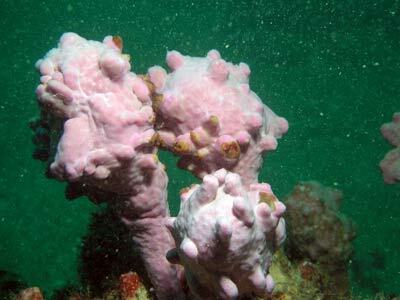 There are gorgonias, sea squirts, sponges and other fixed life all along this area. In between the boulders there are canyons and on the wall lots of overhangs and cracks. There is said to be a swim-though that leads to a large crack but I did not find it. Back to the south of the anchor area there are more canyons and these are very interesting. 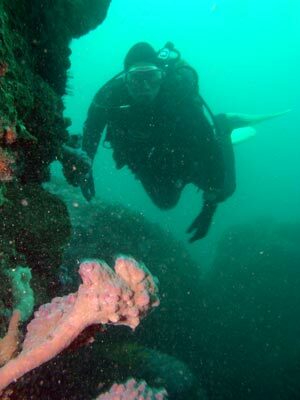 You should examine each "hole" as there are things like Port Jackson sharks, wobbegongs and cuttlefish to see. Unfortunately, on my only dive here we had very large seas and the surge was bad, with lots of sand floating in the water. In good conditions, this would be an exceptional dive site.